Many clients are unaware of the nuances of a mortgage and end up making several errors that prevent them from obtaining a mortgage with favorable terms and rates. At other times, avoidable errors are made due to a lack of knowledge. 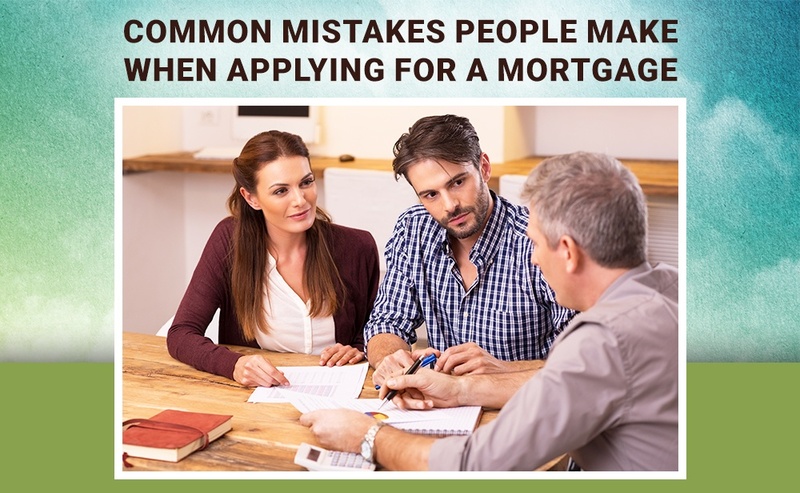 As experienced mortgage brokers, Your Local Mortgage Professionals want to help you avoid these basic errors, and to do so, we have compiled a list of three of the most common mistakes people make when applying for a mortgage. 1. Not paying credit card’s bill on time. Keep in mind that when a bank gives you a mortgage loan, it checks your entire credit history. If you don’t pay your credit card bill on time, it will reflect poorly on your credit rating, and you may not even qualify for the mortgage. People make a huge mistake when they look at credit cards as ‘free money’. Ultimately a credit card account is a contract. You need to pay on time, and the minimum amount must be paid. Also, maintaining a high balance lowers your credit score because it raises a concern that you are not able to manage the credit correctly. 2. Making a big purchase on credit before applying. Often people buy an expensive product, like a new vehicle, on credit just before applying for a mortgage. In other words, they add to their debt load before applying for a mortgage, which is a mistake because it may jeopardize their chances of approval. It’s always advisable to keep your overall debt low when you go for a mortgage. 3. Starting a new job or becoming self-employed. When you apply for a mortgage, the lenders need at least three months of employment (if you are switching jobs in the same field) and they may want a longer tenure if you are going to work in a new field. Becoming self-employed usually means that you will have to wait until you have two years of income history if you want to qualify for a mortgage. Therefore, starting a new job or becoming self-employed is a mistake that you can’t afford when considering a mortgage. To avoid these and other mistakes for the best mortgage professionals in High River, AB, reach out to the experts at Your Local Mortgage Professionals. We provide a number of mortgage services including mortgage purchases, renewals and refinances to clients across High River, Okotoks, Black Diamond, Turner Valley, and Calgary. For a complete list of services, please click here. If you have any questions about mortgages, we’d love to hear from you. Please contact us here.